Get a free account on HoopoeQuotes, create your quote lists and share them with friends, or just find and save your favorite quotes. Celebrate the new arrival with a beautiful picture message - congratulate the parents on the arrival of a newborn baby in the family! 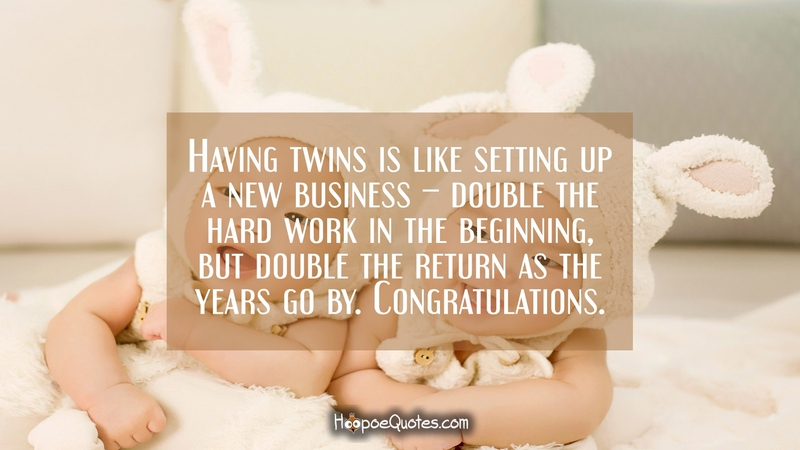 Having twins is like setting up a new business – double the hard work in the beginning, but double the return as the years go by. Congratulations.